In conjunction with my review of Frozen, which you can read here, here is my review for the other film up for Oscar nomination, The Wind Rises. The Wind Rises, the last film by critically acclaimed director, Hayao Miyazaki, the founder of the famed Studio Ghibli. The film follows Jiro Horikoshi, the man responsible for designing several of Japan's airplanes used during World War II, most notably the Mitsubishi A6M Zero fighter. It follows Jiro from his childhood to the role he played in designing the machines of war. Plot: 8.4/10- Using the art of animation in a biographical film is an intriguing idea that turns out to be incredibly effective. While Miyazaki has openly admitted that the personal life of Jiro is mostly fictional, the actual history of the aircraft designing is fascinating, although history in general interests me. The Wind Rises is one of Studio Ghibli's most mature films. While not the most violent, it is realistic for the most part featuring characters with real problems. Also, the pacing could be considered slow by some, but to me, the film was never boring or dull. In Japan, The Wind Rises stirred up a lot of controversy in the way it portrayed the building of the aircrafts. Some criticized it for glorifying the creation of the war machines while other criticized it for pointing the wrongdoings of Japan for starting a war. To me, the movie effectively portrayed how one man's attempt to create something of beauty, like the airplanes, can be turned into machines of war by others. Another controversy is the amount of smoking in the film, and even though I am 100% against smoking and tobacco of any kind, people back in the 30s and 40s smoked a lot, so it is an accurate representation. Characterization: 8.5/10- Being one of the only Miyazaki film to feature a male protagonist, Jiro Horikoshi is portrayed effectively. He has believable character flaws, yet he is likable enough for the audience to attach to the character during the film, and the romance towards later portion of the film with Naoko is probably the best romance of any Ghibli film. It was compelling without being too sappy or overly dramatic. While the other characters are likable enough, very few receive much character development. Acting: 8.7/10- Normally, the both the Japanese and English dubs are roughly equal, yet in The Wind Rises is a bit different. In Japanese, Hideaki Anno plays the main character Jiro. Anno is best known for creating the infamously popular Evangelion franchise, but The Wind Rises is his first voicing role aside from a few cameos and parodies. Unfortunately, Anno's performance is often flat and lacking in emotion. On the other hand, Joseph Gordon-Levitt in the English dub is superb with a very subtle and nuanced performance that makes his version of Jiro more compelling. As for the rest of the cast in both Japanese and English, they are all top notch without a weak member among either cast with Emily Blunt being the standout best of the supporting actors. 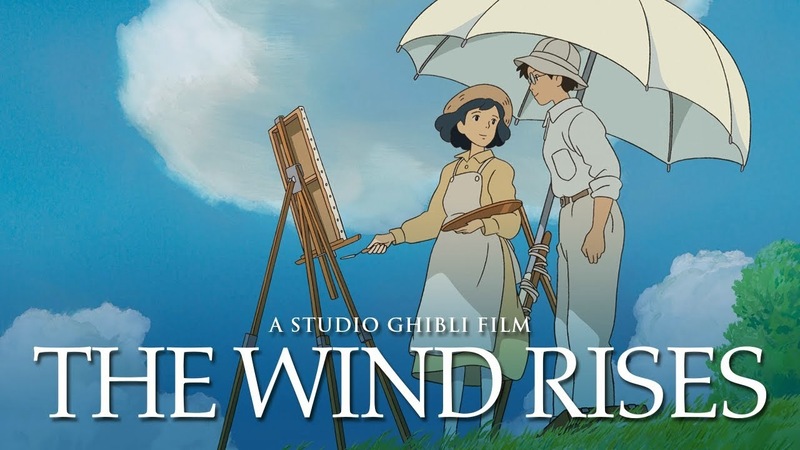 Art Style: 9.9/10- While one might expect a film more grounded in reality to be weaker in the animation department, The Wind Rises might be the most visually appealing film from Studio Ghibli to date. The character designs for male characters are vastly improved compared to other Ghibli films, while the female ones are as pleasant as always. However, the fluidity of the animation and the background animation in general is where the film truly shines. From the highly detailed planes and houses, to the stunning dream sequences, the animation is utterly amazing, especially in HD. Additionally, the animation provides The Wind Rises an advantage over many other biographical features since the animation always keeps the movie visually interesting even when the story may begin to drag. Soundtrack: 9.8/10- As expected with Joe Hisaishi's work, the score is simply magnificent. It is sweeping, enchanting, and utterly bone chilling when it needs to be. Only John Williams crafts better orchestral music than Hisaishi. Humor: N/A- While there are a few scenes of humor, The Wind Rises is a mostly serious film. Non-Otaku Appeal: The Wind Rises is the exact opposite to virtually everything that the western audiences considers animation to be. It is a mature biopic about a man that happens to be brilliantly animated, and if that is what you want, then, by all means, it is a great film for anyone to watch. 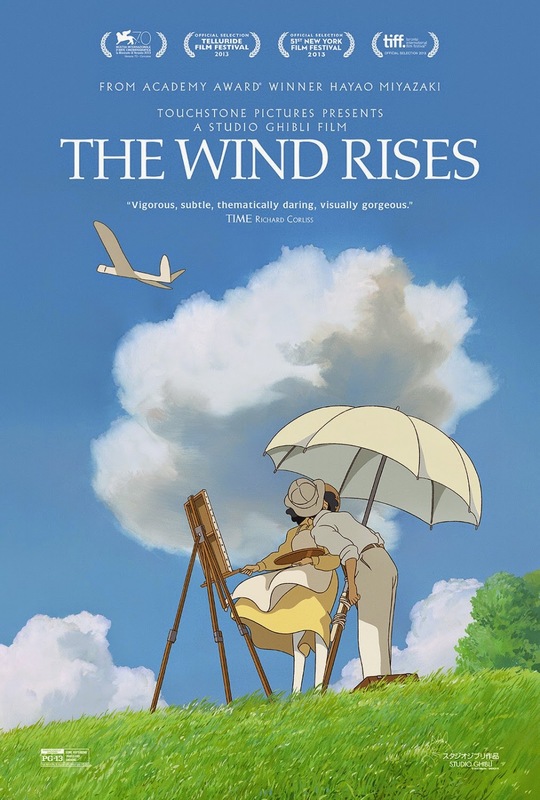 Entertainment Value: 8.3/10- While not the most entertaining Ghibli film, The Wind Rises' characters and historical story were more than enough to hold my attention. Overall: 8.6/10- Overall, The Wind Rises is one of Studio Ghibli's best efforts with the most personal story since Whisper of the Heart. Few directors could have given us a better swansong than Miyazaki did with The Wind Rises. Closing comments: Despite my surprise by how solid of a film Frozen was, The Wind Rises is an unquestionably superior film (at least for adults) in most respects, and the Academy should be ashamed that it lost. However, I am can understand why casual viewers would prefer Frozen. New Studio Ghibli TV Series Coming Next Month!